I feel fortunate that for over twenty years, I have had the privilege of assisting so many clients in choosing their new home or home-site. In the same way, I have truly enjoyed helping homeowners, developers and builders successfully market and sell their homes and new home communities. My family and I relocated to the Triangle over twenty years ago, because of the wonderful people, climate, and the way of life here. Before becoming a real estate agent, I taught children in our local public school system. I also spent several years working with families and business owners as an insurance agent helping them find the best coverage to protect their assets. These experiences have provided me the basis to enjoy educating people about real estate values and market conditions, and an understanding of the importance of one of our most appreciated possessions: the place we call home. I’ve always enjoyed helping people, and my buyers know that whether they are buying their first home, investment property, land, or their retirement home, I will assist with all the details for a smooth transaction. 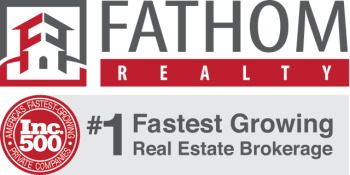 Sellers and builders know they are in good hands because I use the latest technology and marketing techniques, and I am committed to selling their home as quickly as possible at the best price. Perhaps you or someone you know is thinking about making a move; I’d love to help. I think my past clients will all agree, as your REALTOR, I promise to serve you professionally, with integrity and a genuine concern for your satisfaction.